Imagine you have a huge crush on someone, and you want them to like you back, how to make them like you? 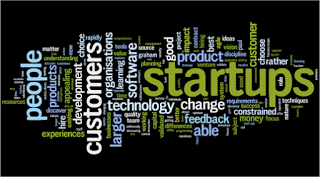 This situation exactly corresponds to startups trying to attract their potential customers. Case 2: Force them to love you, repeatedly irritating them with your efforts to make them like you, this is nothing but pop under and pop up ads, this will never work, it'll make them and their friends hate you. Case 3: Understanding their interests and being in exactly the same way to make them like you, this is SEO, they will become your friend ( follower), it is upto you( service/content) to make them like you more. Case 5: Making them like you, this is brand awareness, concentrating more on yourself and your career( service) without trying to attract them directly. Ok, firstly, let us change the question from how to do the marketing in right way to how to make people aware of the best service of yours. Select a unique domain name: Select domain name such that it contains keywords related to the niche but also contains random characters like seoab.com, so that when visitors search for seoab, your site can rank in first position without competition, let the domain name be as short as possible so that it's easy to remember. It is also necessary to choose best hosting for the site. Build attractive and user friendly website: Whether you do it yourself, or hire developers or buy themes, it's up to you, but make sure that the website is both user and search engine friendly. Create Google business page for your business: Provide all the relevant details like the address, phone numbers, timings, images etc.. it highly boosts your business. Quality of service: Whatever marketing you do, how much ever you spend on Google AdWords, if your service does not satisfy the customer need, Your customers will never come back, Please do not try to fool your customers by Boasting of your service quality which you don't provide. 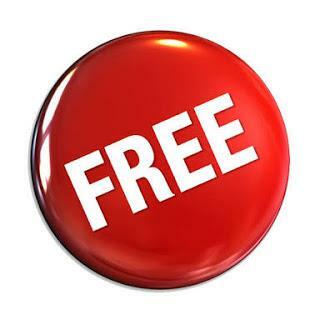 Give your service for free: Most of the successful companies give their services for free of cost. Give your service of high quality for completely free for a limited time, This works best if your Competitors is not doing the same, for marketing this use Facebook marketing for a limited period, believe me your business will boost like anything. Give service free only for popular companies or sites, thereby you can add them in testimonials and increase the reach. Eg: push engage is being promoted by harsh agarwal. How does Free plans improve your business? People start to check for your brand in search engines which highly boosts seo. Your site will get backlinks from bloggers. When you spend money on ads, who do you think is displaying it? Is it other organizations? or is it the public? No, the bloggers. Don't you think it is best if you can advertise directly with bloggers without a third party in middle? 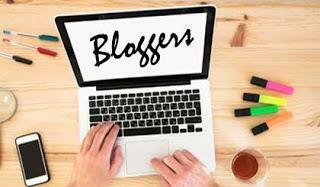 It not only reduces costs but also help you to develop contacts with bloggers. Google for popular bloggers of your niche, visit the blogs and contact the bloggers, Ask them to review your service and advertise it in their blog for a good price. Raise a blogging contest, ask them to write about your service/ articles related to your niche in their blog , give away a gift or service for the best article and something for everyone who participated. In this way, you get quality backlinks to your site, Please allow only some bloggers ( winners) to link to your site, otherwise Google may consider it as spam, Repeat this contest for few months. Crisp videos: Whether its how to videos or explainatory video on new technologies or free services, affiliate programs or explainatory video on what the service is, crisp and short and informative video can attract traffic. Brand awareness: Brand awareness is making people remember your brand name. Use your brand names frequently in subscription mails, Facebook pages, YouTube videos and other social media. Eg: Instead of posting "Here's how to market your business", post like" Booost bloggers presents 5 ways to improve your business"
Sponsor products for good NGO's , schools and colleges, if you have high budget market your brand name in popular apps or games, there's no need to include links, this is for making people remember your brand name, so when it comes in search results when they are searching for something, they could easily trust your site. Use Google AdWords cpm ads instead of cpc ads, let the ad be clean and good, you are going to pay few cents for 1000 impressions, In few countries, the competition is low, so the ad can even reach 1 crore people by paying just few thousand dollars. Raise a quiz or contests and give away products this can be done either in your site or by using 3 rd party sites. Youtube: Youtube is the second largest search engine after google, So presence in youtube is a must, Create stunning videos about the services offered, make sure you have added your brand name in video, so that it'll not be duplicated by other channels and also helps in brand awareness. SEO: Last but not the least, SEO itself without any other techniques can bring in traffic. Make sure Your site has a blog, hire a creative content writer, make sure the articles are related to the niche. As told earlier, keep close contacts with bloggers of your niche. Do not spend your time in creating a brand value, instead act as brand, focus more on quality than on quantity. Thank you for the overview. I need to focus more on branding my page. I have some loose ideas but I'm not as coordinated as I need to be!